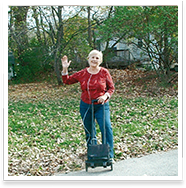 Reclaim your independence and enjoy greater mobility with the compact design and long-lasting battery of the Inogen One portable oxygen concentrator. 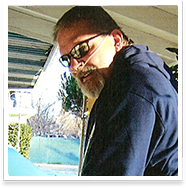 Discover how a small, lightweight portable oxygen concentrator can help you reclaim your freedom from oxygen refills and heavy tanks. Fill out the form below to request more information! 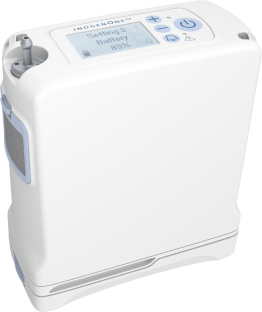 The Inogen One G4 delivers the independence of a portable oxygen concentrator in one of the smallest, lightest, and quietest packages available to the oxygen user today. 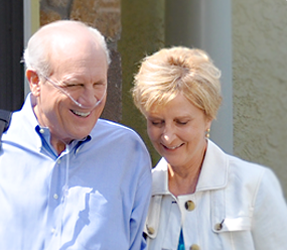 Portable oxygen therapy can help you treat COPD and improve your quality of life. Find freedom to live your life and do the things you love to do. 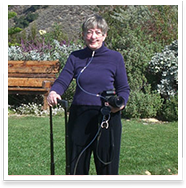 Traveling with oxygen is easy with an Inogen One portable oxygen concentrator. 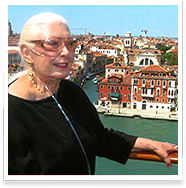 Inogen One is small, lightweight and quiet enough to take on airplanes, in the car, or even on cruises! It's fast and free. Simply fill out the fields below! 1By submitting this information, I authorize Inogen to contact me including by phone. An oxygen specialist will contact you shortly. We are having issues handling your request. Please call us. 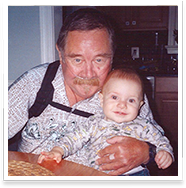 Technology advancements through research, development and testing can change lives for the better. 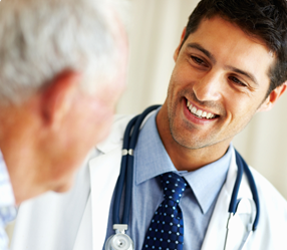 That’s our philosophy and that’s why our products are clinically validated. For those who use oxygen therapy, life is hard when worrying about running out of oxygen in a tank. 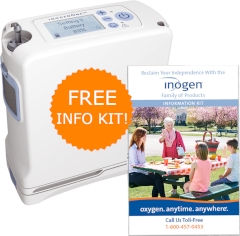 Discover how an oxygen concentrator from Inogen can help you or a loved one. Introducing the next innovation to portable oxygen delivery: the Inogen One G4, capable of full 24/7 oxygen delivery in an unbelievably small package! Discover how you can reclaim your freedom with the Inogen One. No more tanks to refill. No more hassles with travel. May be covered by Medicare. 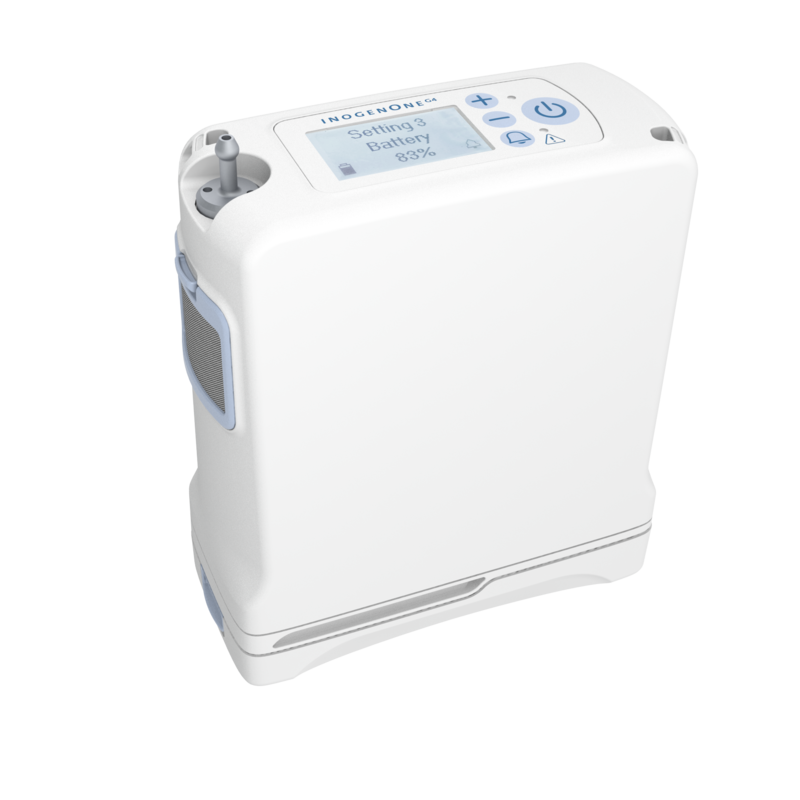 Introducing the next innovation to portable oxygen delivery; the Inogen One G5, capable of full 24/7 oxygen delivery in a powerful, quiet and compact package. 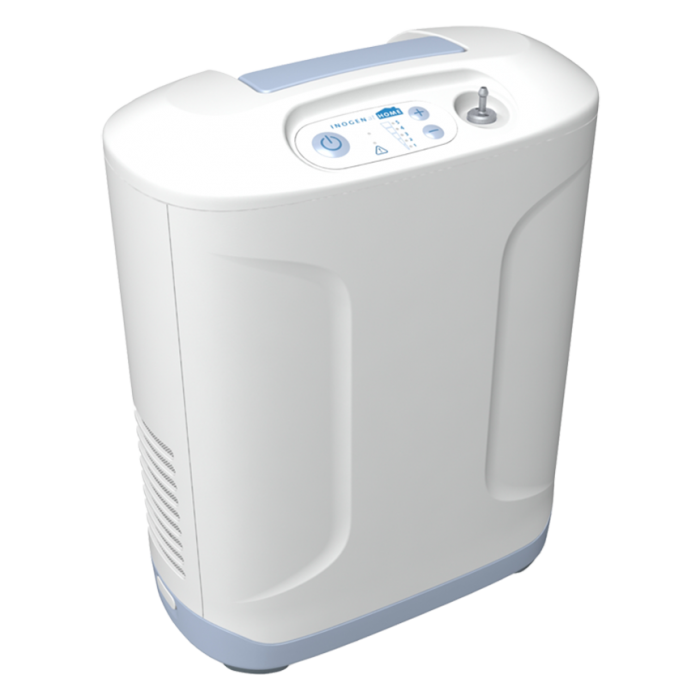 Small, lightweight, quiet, and energy efficient, the Inogen At Home is your perfect companion for oxygen use while at home. 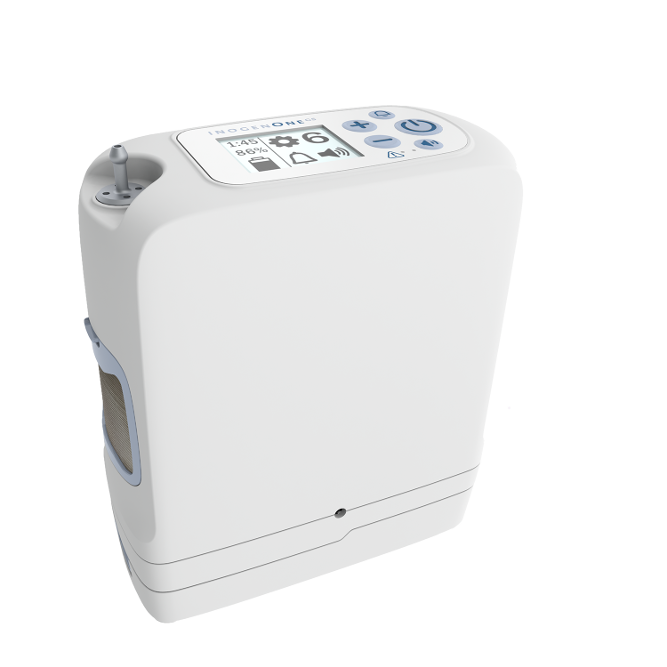 It is designed to be the most efficient choice for your next home oxygen concentrator, so contact Inogen today to upgrade your home oxygen therapy. 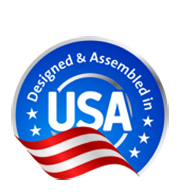 Introducing the Freedom Bundle: an all-in-one solution to meet your oxygen therapy needs, whether you’re on the go or at home. 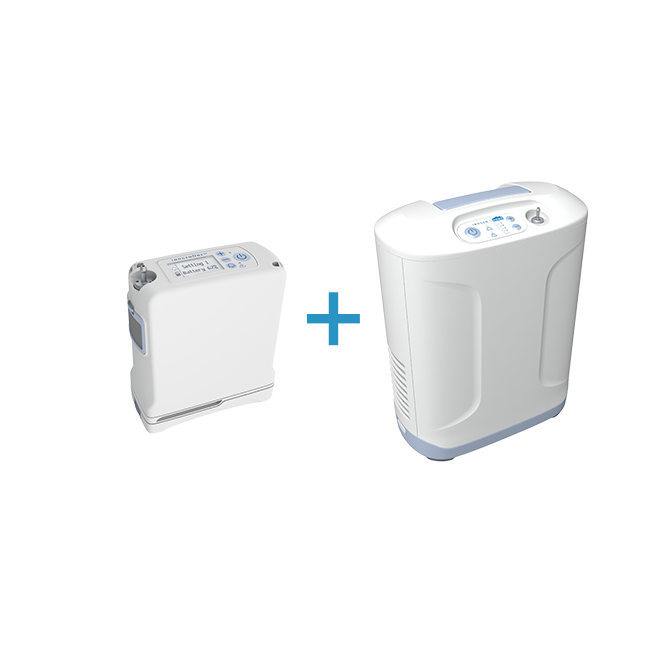 Get the best of both worlds with the Inogen One portable oxygen concentrator and the innovative Inogen At Home concentrator for home oxygen therapy.